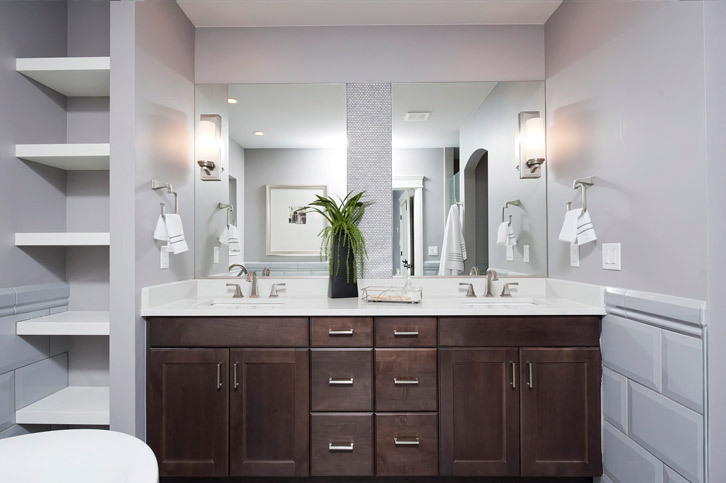 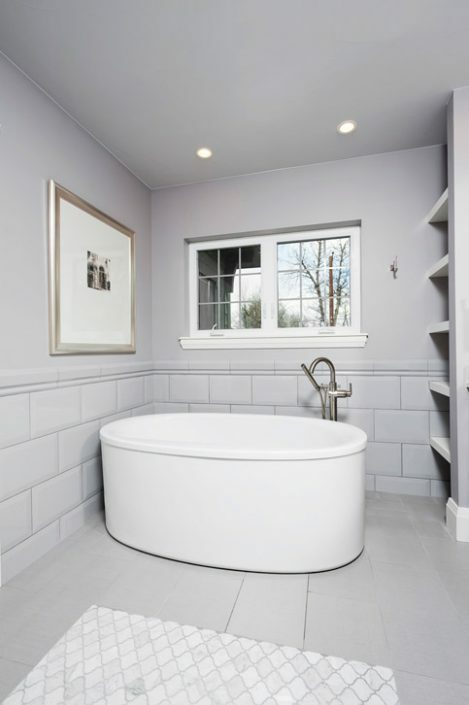 Carrara white marble mosaics and gray tiles make for a classic, tranquil, spa like master bathroom. Walls have wainscotting with oversized beveled gray ceramic gloss subway tiles and matching chairrail. 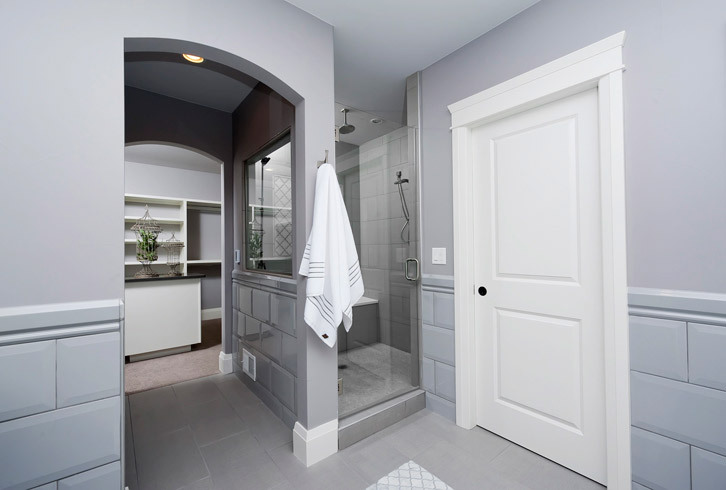 Floor has inset of white marble arabesque and wall of shower has an inset of white glass arabesque with glass pencil liner. Shower pan and vanity wall are mini off set subway tiles in carrara marble.